According to Media Take Out, Drake @Drake and Reality TV Star/Momager,Kris Jenner@KrisJenner are dating. 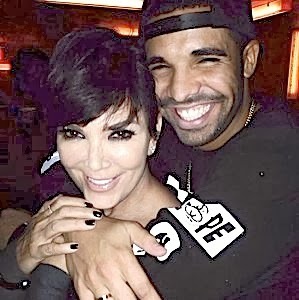 Drake is known to like older women and Kris Jenner adores Drake. They got a little to close at Drake's album release party with his hands across her chest. Can't confirm this yet but will keeps this as "Reserved for further observation"